And it's not going away anytime soon, particularly as companies move toward more "traveler friendly" programs which empower employees with more booking flexibility. If you missed the panel on Off-Channel Bookings: How to Manage What You Can't See, it was a lively one! We've recapped some of the key takeaways from the audience polling below. Most of the buyers in the audience indicated off-channel bookings represent a meaningful chunk of their spend -- but really don't have a way to quantify exactly how big a chunk. The audience was split between answering "20%-50%" and "I have no idea!" Virtually nobody answered affirmatively to the statement that they are "Pretty confident that I can track most off-channel activity in a timely manner, before travel occurs." Rather, access to this leakage data was stated to be not timely, not comprehensive, and not consistent -- if it is accessible at all. Risk management was the top driver for most of the audience in motivation to address off-channel "leakage" activity. A surprising second place finish went to the desire to implement more "Traveler Friendly" programs, giving employees more freedom in managing their own travel -- including booking flexibility -- as long as the data is accessible in a timely manner. What Does That Mean for Your Program? Some of the most intense discussion came from the audience's examples of how they are struggling with and finding success tackling this data challenge. While there is no single "silver bullet" solution available (yet), there are plenty of ways attack the problem programmatically. Traxo CONNECT, with Traxo FILTER technology for automatically capturing travel spend data is one option we invite you to test out. Some other ideas from our panel and audience members are noted below. Suzanne Boyan of ZS Associates has been piloting our Traxo CONNECT solution to help quantify ZS's volume of non-TMC bookings, as a starting point, and was surprised to find it trended higher than they anticipated. They will be looking to also integrate this leakage data with their Duty of Care and Expense Management services, as a way to replicate the same workflows they benefit from via their TMC for on-channel bookings -- thus helping close the loop on leakage. Cathy Sharpe of ITW is taking a multi-pronged approach to capture off-channel data for ITW's $144m program, using both Concur's TripLink product and Traxo CONNECT. With hotel attachment below 50%, leakage is a large and growing problem, complicating spend tracking, duty of care, and enforcement of supplier negotiated rates. While TripLink works well for the handful of suppliers who are integrated, a significant amount of data is missed from other suppliers, or from relying on travelers to forward in confirmation emails for these out-of-program bookings. They plan to deploy Traxo CONNECT to capture the bulk of this data as a complement to TripLink, and to feed it to their downstream services such as reporting, duty of care, and re-shop providers like TRIPBAM. Both Suzanne and Cathy, as well as other audience members, also advocated pushing the TMCs to get more proactive in helping address this issue. Many leading TMCs are starting to support import of off-channel data for reporting purposes, and others are actively evaluating how they may also provide in-trip customer support for these bookings. At a minimum, making off-channel data integration a requirement for any RFP is strongly recommended. Interestingly, the vast majority of the audience said they would be more comfortable testing a "Traveler Friendly" approach to travel policy, allowing travelers to book where they like, as long as the data about those bookings was routed back to the company in a timely manner. Furthermore, the majority also stated they'd be more likely to choose a preferred supplier and permit direct bookings with that supplier, if the supplier could guarantee timely and comprehensive access to that data (ie, NOT in a monthly Excel file!). This collective feedback suggests that access to data is the true atomic unit of travel management -- not booking tools, content, negotiated rates, or agency fulfillment. Policy is only as good as they data you have to track and enforce it. Once you have the data, you have the power. 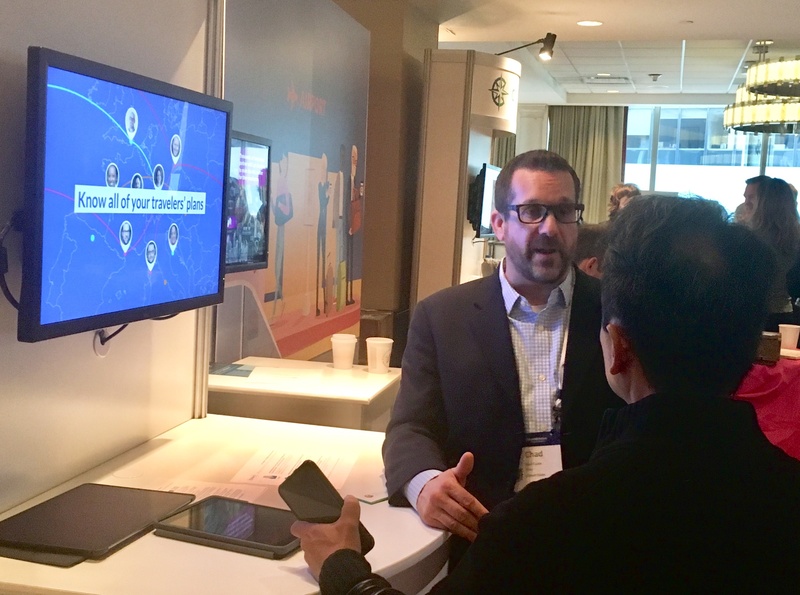 ACTE Attendees: don't forget your free trial offer for Traxo CONNECT!